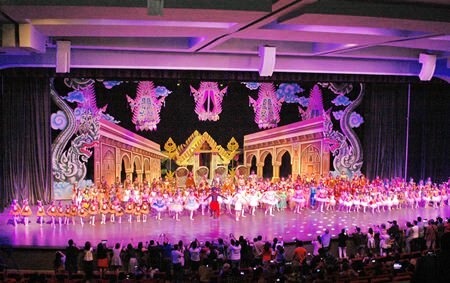 Dance Studio Pattaya raised 100,000 baht for underprivileged children with its annual charity ballet at the new Coliseum theater on Sunday, October 6. 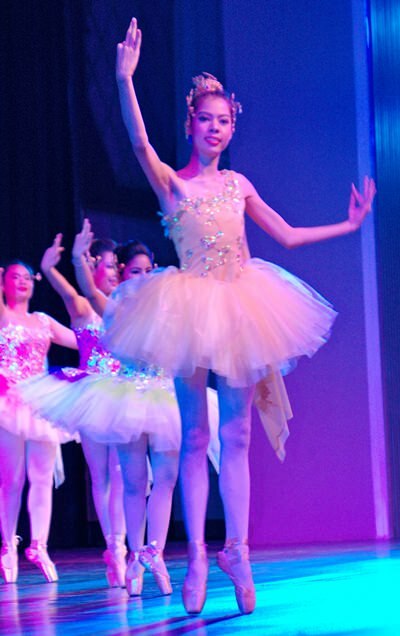 Held in concert with the Pattaya Business & Tourism Association, the show, an act from the “Sungtong” suite, gave 200 students at Dance Studio Pattaya an opportunity to support society and art on stage. The full cast list take to the stage for the closing show. Proceeds will go to the royally backed Chai Pattaya Foundation. Dance Studio owner Dujduan Ruangwetiwong hopes to present the funds directly to HRH Princess Sirindhorn in the near future. 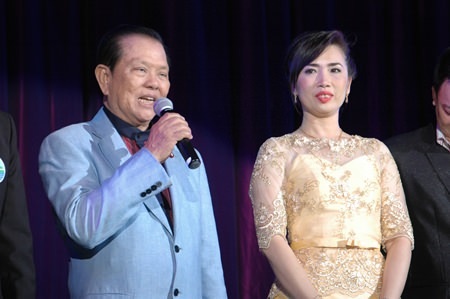 MP Sansak Ngampichet and Sinchai Wattanasartsathorn, president of the Pattaya Business & Tourism Association, opened the show at the Thepprasit Road cabaret before an audience of about 500 people. Dujduan Ruangvejtiwong (right), Director of Dance Studio, and Sansak Ngamphichet (left), the President of the Pattaya Business & Tourism Association, preside over the performance. In “Rojana Luag Koo,” characters Pra Sun and Rojana played out the folk literature short story. Several sets incited laughter and applause from the crowd over the two-hour performance. Dancers perform the ballet of The Lady-in-Waiting. The dance studio throws charity ballets every two years. 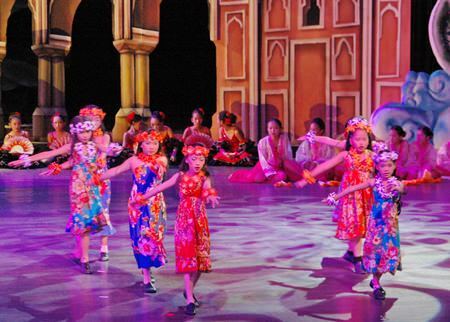 The 2009 performance of “The Nutcracker” at the Alcazar Theatre raised money for scholarships in Chonburi while the 2011 performance of “Swan Lake” held in coordination with the Lions Club of Pattaya-Taksin at the Tiffany Theatre benefitted the Chai Pattana Foundation. Young performers display The Island Dance.